Approximately 2,400 AIA Hong Kong delegates landed in Melbourne late last week to take part in an incentive touring program across Victoria. 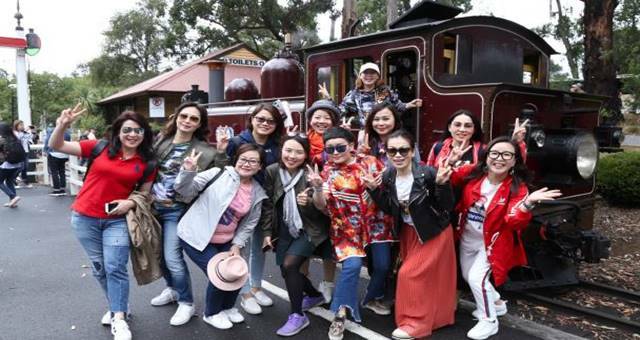 The program, which went from 10 – 13 April, saw delegates visit the Queen Victoria Market, South Melbourne Market, the Tramcar Restaurant, Brighton Beach and Royal Botanic Gardens Melbourne. On the regional leg of their experience they had the option to visit the Mornington Peninsula, Yarra Valley, Ballarat and Phillip Island. Minister for Tourism and Major Events, John Eren said the event and tour provided a welcomed boost to local and regional economies across the state. “We are fortunate that Melbourne and Victoria have a depth of character that cannot be replicated elsewhere, which is helping us to attract these lucrative incentive groups,” Ms Bolinger said.